Whether you tripped and fell in an apartment building, were knocked unconscious by a falling object or roof collapse, or fell down an escalator in a shopping mall, if your injury was due to negligent security or poor maintenance, you may have a premises liability claim. You have the legal right to an expectation of reasonable safety when you are on someone else’s property, be it private or commercial. When this trust is breached and it results in an injury, the attorneys at The Law Offices of John F. Marshall are well prepared to advocate for your right to damages. Premises liability law covers a vast array of personal injury claims: slip and fall accidents, defective handrails and stairways, swimming pool accidents, inadequate lighting and warning, poorly maintained parking lots and walkways, falling objects, and much more. In a successful claim, the injured party may be able to recover damages for medical expenses, lost income and other associated losses. These cases can be rather complex, however, especially when determining who is responsible for the accident. Our Premises Liability Lawyers can assist you in identifying who is legally liable and how to most effectively pursue your claim. 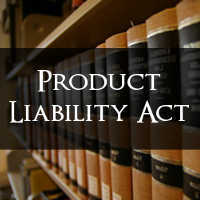 State and federal legislation and case law guides New Jersey Courts in premises liability cases. Essentially, the basics establish that land and property owners are responsible for providing safe conditions for anyone who resides on, visits or occupies their property. If injury occurs on an owner’s property, he can be held liable if he failed to fulfill this responsibility, and this failure led to an actual injury on his premises. We have several decades of experience advocating for plaintiffs throughout New Jersey, and a stellar reputation with clients and colleagues alike. Our Law Offices have been featured on USA Today, The Star Ledger, Asbury Park Press and various television shows. The attorneys at The Law Offices of John F. Marshall are equipped to evaluate your claim and map out a successful strategy, maximizing your ability to recover fair compensation for your injuries. Don’t be overwhelmed by your premises liability accident. Call 24/7 to schedule a free consultation with a seasoned New Jersey Premises Liability Lawyer at the Law Offices of John F. Marshall as early as possible.